The WB is expecting there to be quite a call for autographs at this year's Comic Con. So much so, they've instituted a ticketing system to make sure everybody gets a fare shake. With the lineup of stars they've announced today, it was probably a good move. From the Big Bang theory and Fringe all the way up to HBO's Game of Thrones and True Blood, Warner Bros is offering a panel of celeb signings for everyone at this year's SDCC. With all that star power in attendance, the studio has started up a new procedure for getting yourself a wristband that will allow you to queue up. It's honestly not all that complicated of a process, and Warners has provided us with a neat and tidy checklist of the how's and when's. 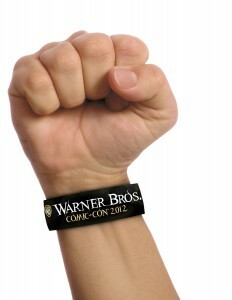 Also pretty important- the WB's booth is #4545. All the signings that you see above? They'll be held there- no private rooms. So expect... crowds. Big, big crowds.